A district court judge ordered a longtime educator in southern Aroostook County who was arrested in January 2018 for unlawful sexual contact to serve two weeks in jail on March 19. HOULTON, Maine — A district court judge ordered a longtime educator in southern Aroostook County who was arrested in January 2018 for unlawful sexual contact to serve two weeks in jail on March 19. 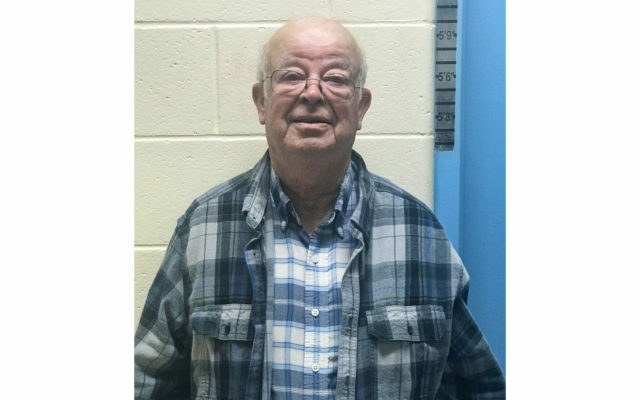 James J. Rochford, 76, entered no contest pleas to three counts of allowing a minor to possess or consume liquor, to which the judge sentenced him last month to serve 14 days in the Aroostook County Jail in Houlton and pay a $500 fine. Rochford also entered a no contest plea to one count of unlawful sexual contact, to which he received a sentence of 180 days in jail with all but 14 days suspended, followed by 1 year of probation. The sentence was stayed until March 25. Aroostook County Assistant District Attorney Kurt Kafferlin said that the sentencing resulted from a plea deal. Houlton police initially charged Rochford with three counts of unlawful sexual contact, one count of furnishing a place for minors to consume alcohol, and one count of furnishing liquor to a minor when they arrested him on Jan. 25, 2018. Police released little information about the case, but police Chief Tim DeLuca said at the time that the department received information via social media about a potential victim who Rochford allegedly sexually molested. As officers conducted their investigation, additional victims emerged, he said. While DeLuca declined to say how many victims, police described them as young males. The Houlton police, in conjunction with the Aroostook County district attorney’s office, obtained an arrest warrant for Rochford, and took him into custody without incident. He then was released on $2,000 unsecured bail. Rochford was an educational technician at the Region Two School of Applied Technology at the time and taught in RSU 29 and at Southern Aroostook Community School for a number of years. Rochford was represented by attorney Alan Harding of Presque Isle.